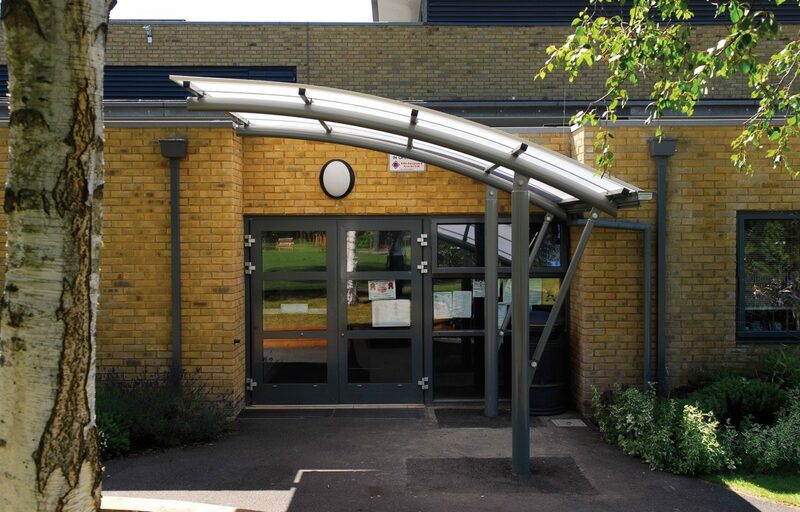 Steel cantilever entrance canopy for Hollywater School, Hampshire. 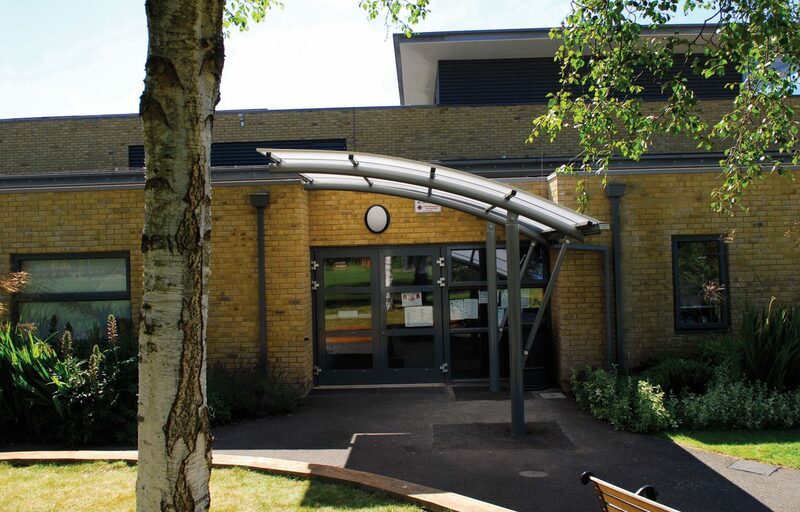 A cantilevered steel framed entrance canopy has been used to provide shelter at a primary school in Hampshire. 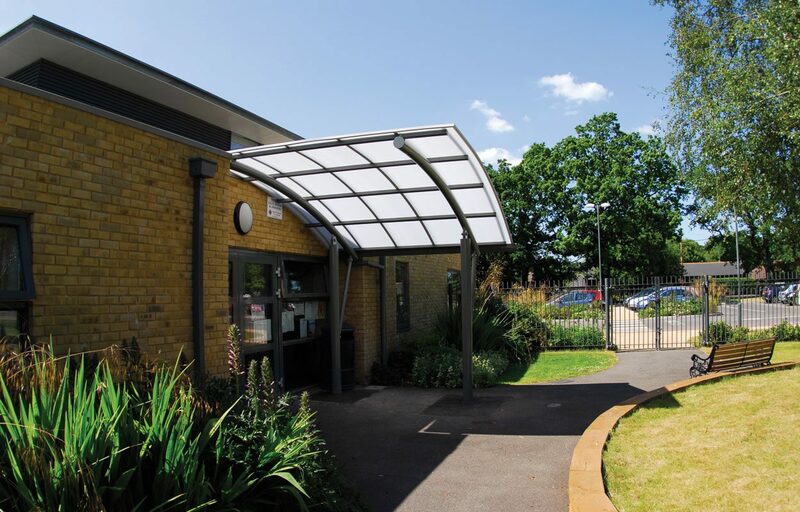 Entrance canopies and porches give parents and students a place to wait under cover and add an architectural feature to your school. This pre-designed structure is cost efficient and takes less than a day to install causing minimal disruption to your site. Our steel structures come with a 25 year guarantee. 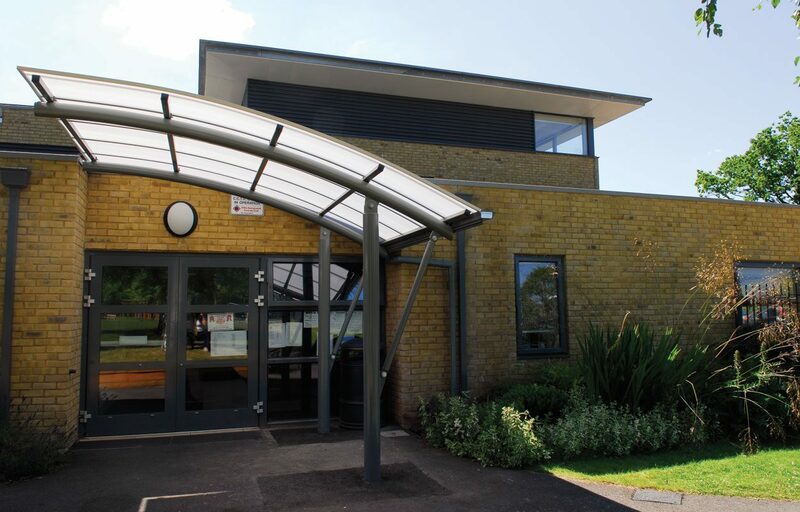 All of our steel work is designed and manufactured by our in-house technical team, meaning precision in design and engineering and speed of manufacture for your convenience. Fordingbridge is a fully CE mark approved manufacturer of steel fabrications.